Just as you have a regular physician, you should also have a regular eye doctor that you can confidently turn to. Also known as an ophthalmologist, a professional eye doctor deals with all issues of eye care, from eyesight to eye infections, vision disorders, and more. If you have recently moved to the Houston area and you know you need to get started with a local eye doctor, you will soon discover that Houston has many eye doctors to choose from. However, it is not a good idea to randomly pick any eye doctor from the long list of available choices. You want an eye doctor you can rely upon, and who has the knowledge and skills to properly care for your eyes. Do your research and learn about the different eye doctors available in Houston. The number of choices you have initially might seem overwhelming, but this is actually to your benefit. Take some time and do your “homework”, and you will be more likely to find a Houston eye doctor you are happy with. good starting point involves contacting your insurance company to inquire about which eye care professionals in Houston are in your network of providers. This will help you narrow your search a bit. Consider asking if there are only certain specific eye care professionals covered under your plan. This will protect you from having to pay for your eye care services “out of pocket” without the benefit of insurance coverage. An excellent resource for your search is the American Academy of Ophthalmology in Houston. Contact them to get a list of available eye care professionals with specific information regarding each doctor’s specialty and experience. Angie’s List is another good resource in your search. The website provides you with local reviews of different medical service providers. Sometimes it helps to know what others have experienced when making a decision about a new doctor. By taking time to consider your options, you will find a qualified, experienced Houston eye doctor you can rely on and go to anytime you are experiencing eye care issues or just need a checkup. You might find that your temporary eye problem can be diagnosed and treated quickly and easily. On the other hand, you might find that your eyesight has slipped over the years and that you now need to consider long-term solutions. 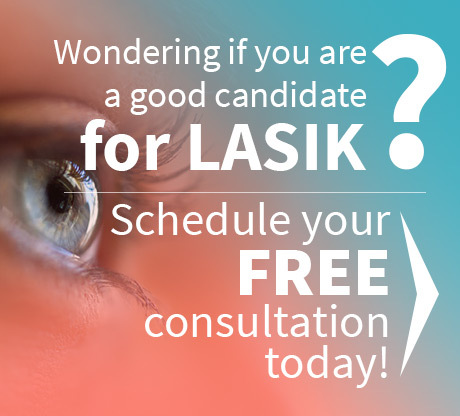 For many people, LASIK is that long-term solution. Dr. John Goosey is considered to be one of America’s leading ophthalmologists, a corneal specialist, and a premier LASIK eye surgeon. Since 2007, Dr. Goosey has been listed as one of America’s Top Ophthalmologists. He has been featured in Houston’s H Magazine and Inside Houston Magazine as one of Houston’s best doctors, and was named one of the Texas Super Doctors by Texas Monthly Magazine again for 2014. 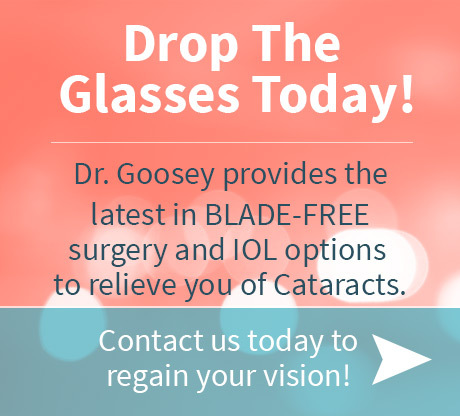 Contact Dr. Goosey today to schedule your next eye appointment, and confidently know that you have chosen the best doctor in Houston for your vision care needs.